Dratzo! The procedures agreed upon continue to move forward at their own slow pace. The emphasis as always remains security and the maintenance of an even flow. This operation has thus been reduced to proceeding with major sequences and keeping the public in the dark until certain primary security points are reached. This has become paramount to the success of this process. The initial elements remain the global introduction of the new treasury monies from the new Republic, the complex RV operation in America and the breakout of the GCR. These new monies are to be accompanied by the official roll out of the new international financial system. At that time, the new designated President can explain NESARA and the jubilee to all. This set of special announcements is eventually to permit a disclosure statement to occur, and to finally permit us to commence our broadcasts to you. This is to set the stage for other events that can force world peace and a way to produce the environment dreamed of when NESARA was first proposed in the late 1990s. This global condition can lead to a number of other events. One of the major events to follow the rise of NESARA and the new NESARA Republic is the formal implementation of the new financial system. Already we can see how the new international banking system is to be introduced worldwide. This is being rolled out first in China and to the rest of Asia. Then it is to be made dominant in Europe, the Americas and Africa. Oceania is to be the final stop for the new banking reality. New global currencies are to encourage a new prosperity for all and the formal termination of debt slavery. This world needs to show Gaia that it is serious with a drive to clean the air, water and ground. Along with this, it is necessary to restore the ocean’s interconnected system of currents that temper and nurture surrounding lands and fauna around the world. This daily process keeps the world’s weather systems regulated and able to aid the ocean currents in providing the elements that help to sustain the globe’s ecosystems. This natural pattern was interrupted by a secret government agency. Its covert operation was worldwide in scope, and succeeded in disrupting regular ocean warming and cooling. It also began to affect the vast oceans of air that are above it. This government operation commenced in the early 2010s. It caused unusually intense spring flooding in Europe, severe melting of Arctic and Antarctic ice floes, and peculiar winter cold and storms in Europe and northern North America. This secret weather experiment also caused a severe drought in California and vast weather anomalies in Asia and North Africa. Most importantly, it was shutting off the North Atlantic conveyer (the Gulf Stream). A major weather shift was promising to turn a natural shift in global conditions into a major climate catastrophe. This series of artificial weather changes was adding undue pressure to a natural extinction pattern that in the last few decades had killed off 40% of the world’s flora and fauna. This was due to the grand change being initiated to ready Gaia’s surface for the reunion of her now divided Inner and Outer realms. In addition, a heavenly set of decrees had mandated the termination of the corrupt and unsustainable world of the Anunnaki’s minions. This operation is now in its final stages of success. Gaia desires to permit you to return to your natural 5D state and to conclude this procedure with a return to her own unified 5D state. A similar fate is in effect for the rest of the planets of this solar system. We are observing just how this necessary process is continuing on each planet and its unique system of moons. The required conversions of the water planets and the early reconstruction of the large trans-Martian world are a most interesting phenomena to observe. It clearly shows the magnificent mighty ways of Heaven! Blessings! We are your Ascended Masters! The present situation is quickly improving. Our associates are busy insuring that the payouts shortly proceed. Those who have waited so long for a sign can know that the wait is nearly over. We wish to thank as well those who have kept the positive energies for your visions. We greatly appreciate and bless you for your daily affirmations. This entire operation is one that clearly shows how positive patience rewards you in the end. This realm is in a grand transition that is to be marked by our appearance and by some wisdom that we wish to share with you. When all of this is finally achieved, you are to possess a reality that is characterized by its freedom, your sovereignty and its huge common prosperity. You are to dwell in this land and discover its numerous blessings. This realm is to reveal how the lands of Inner and Outer Gaia are faithfully connected. Be Wise! Be Open and ready to discover how this new land works! As you start to take this all in, you can expand your perceptions and let go of your fears and worry. This world’s surface lands have spent the last 13 millennia adrift in a fear created and sustained by the minion’s cruel pronouncements. See this new time as the moment when this horrible nightmare is finally to leave you. This sacred place is at last to dwell daily in the fiery Light of Heaven. Moreover, you are to meet your Inner Earth cousins and learn many things about your transition from the past to the now “waking up” present. 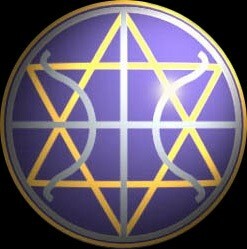 In this new land you are to gladly welcome your space families and learn the nature of your many spiritual families. Remember deep in your Hearts that you are never really alone. Your new companions are to lead you to your glorious future and share with you exactly how this is to be achieved. Be welcomed and most of all feel truly Loved! What is happening around this divine orb is a great learning. This learning has the potential to heal all. Long ago, your ancestors came here and set out on a journey of many stages that was to lead you far from what they initially came here for. Presently, you are taking this all in and learning how best to prepare yourselves for what lies ahead. This is a time not only of transition, but also filled with a whole host of carefully given lessons. Always be ready to take these in and bless them for what they tell you. Soon, you are to meet your mentors. They along with us are a special team that is calmly to guide you to a new and much more conscious existence. It can be difficult at times for you to take this all in. Just use your mighty vision to carry you through even the most arduous moments. We are together in this most sacred journey. Be open and able to use your Love to lead you to victory! Pingback: Indian in the machine » Galactic Federation Of Light Exposes Secret Worldwide Weather Experiment!